Its the hardest thing for me The money and research are easy as pie compared to the name giving. Most of the time my record print outs just have the morph/species and not the name at this point...Oh boy. Does anyone else here have this issue? LOL. Also, I am done. Satisfied with my collection I do not think I will be buying any more reptiles for a LONG while. Any interesting stories about naming would be a nice read! My moms Ball Python a pastel got the very affectionate name of "Gidget." Because she used to fidget a lot when handled and my mom refused "Fidget." Lol. Last edited by VereMyth; 03-23-2019 at 12:38 AM. Last edited by gunkle; 03-23-2019 at 07:32 AM. I have nieces and nephews that help me pick names. I do a few that come to me. I can tell you who named what animals in my collection. I can tell you all the names of my breeder rats as well as all the snakes, lol. I use a mix of things...book characters, mythology, cartoons, tv/movie characters, etc. It’s not always easy. Sometimes something pops out at me, but not always. One of my bps, my pied, is named Piper. My BEL is named Button, because I kept sayimg he was cute as a button and it stuck. lol I’m still trying to figure out a name for my new carpet python. He reminds me a lot of one I had years ago named Byron, but I try not to reuse names....although three in my collection do have names I have used for pets previously, Button, Loki, and Sabrina. I'm having a tough time with this right now as well. My BP has not been sexed, so that isn't helping either. Don't worry, the names will come eventually! Thanks, for the replies! 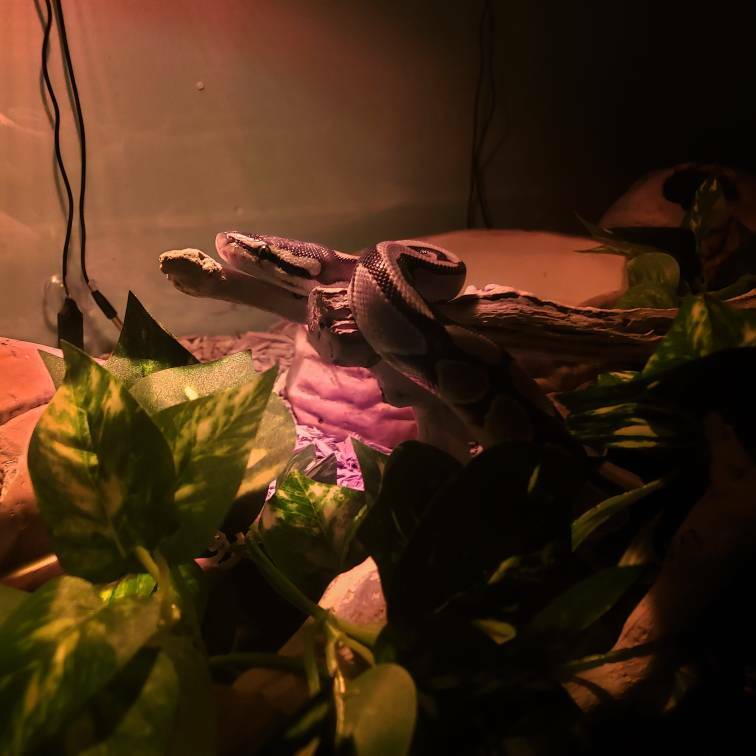 Lol went to the vet today to get my BTS and Imperator(Columbian Red Tail) Boa and I was like...Yeah, just use the species for now no names...Its the hardest part of all however I think I have decided on the Boa's name with how she anchors her tail and curls it I think lily might do it. Was going to use Lotus. But I don't like the phonetic that it has Lotus being a water lily is now simplified to simply...Lily. My BTS is bordering on Gaia because of the brown earth like bands around her. So far this is the farthest I have gone outside of my Latin naming scheme lol. 3 months of constant search for the right name. My rescue was named "Bella" or "Bellatrix" after Harry Potter or if referenced as "Bella" think Twilight. my 2 newest crested geckos are still nameless a few months later. other than that, i think we're all caught up on names. oh wait, my baby special needs bearded dragon....still no name. Naming is hard... we have a few that have names that are silly or random. First snake, our corn snake, is Noodle. Our crestie escaped his tub enclosure at 3 grams and we spent most of an evening hunting for him. Wound up finding him under the toaster oven, but since we didn't like that as a name we named him Flash after the flash lights were were using to hunt in the dark. I tried to come up with some creative names for my banana BP, and the family vetoed them all. The last attempt was Freckles after the other more sophisticated names were rejected and my daughter said, "That's a dumb name for a snake." So I went with Spot. It's the name of Data's cat in Star Trek and it's also the most simple name ever. And *then* the kids said that Spot was too simple and I said too bad. Somehow it does fit him though. Noodle -- she was a tiny baby pink albino ratsnake and it's not the most creative name but it fit her and still does. It's a very cute disarming name and I think it has helped to convert some of my friends to like snakes. If I'd given her a name like Killer I doubt that would be the case at all.